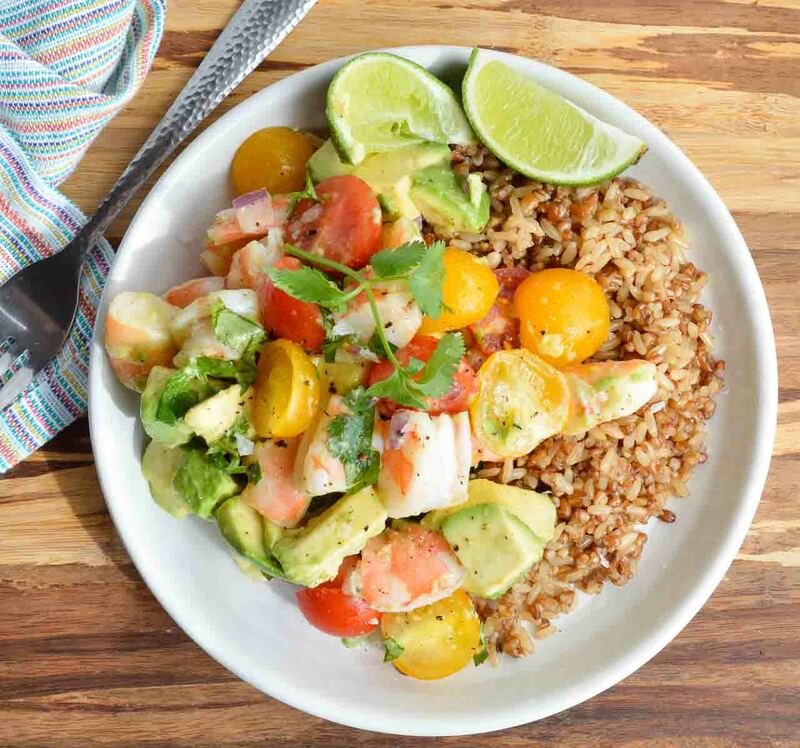 Craving a bright and flavorful meal that is full of fresh ingredients? 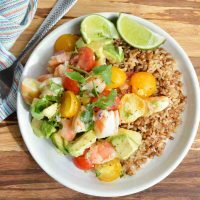 Make this healthy Avocado and Shrimp Salad Recipe for a nutritious, gluten free and satisfying lunch or dinner! 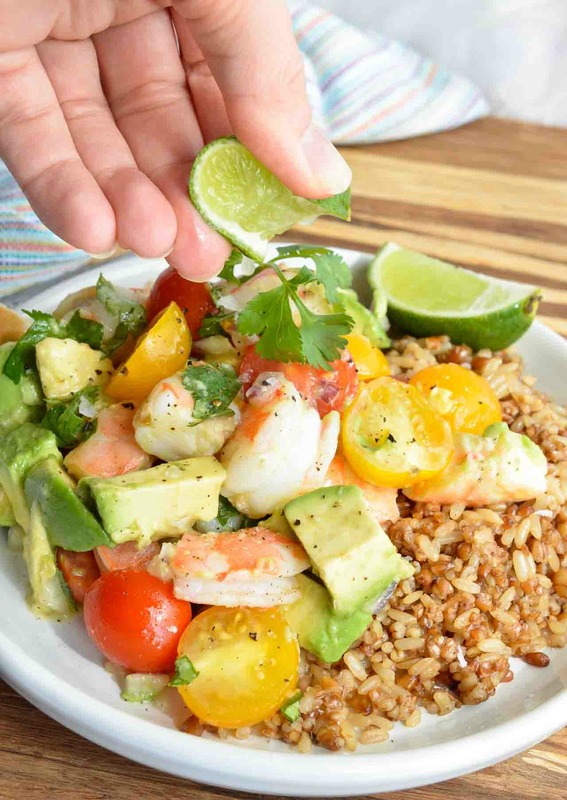 Serve this fresh avocado, tomatoes, lime, cilantro and shrimp on top of rice. Really though, this Avocado Shrimp Salad Recipe is a great way to have a convenient nutritious meal for at home or on-the-go. 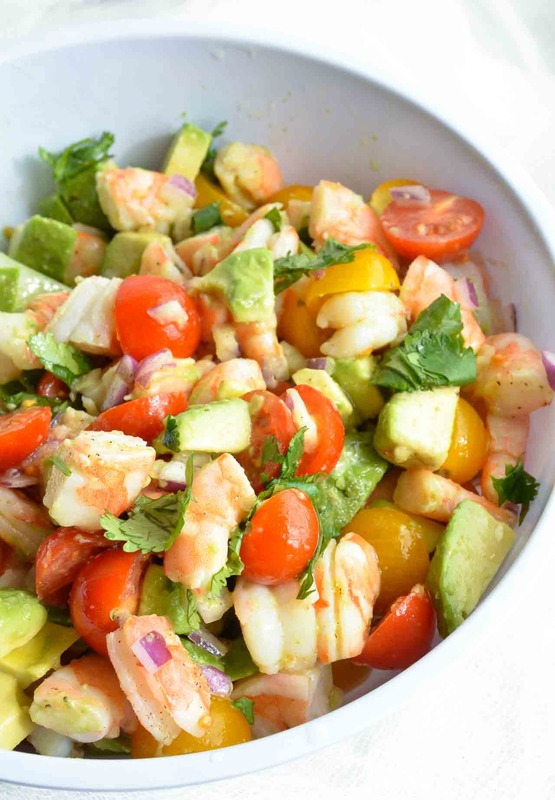 Make a large batch of this shrimp salad to eat throughout the week. 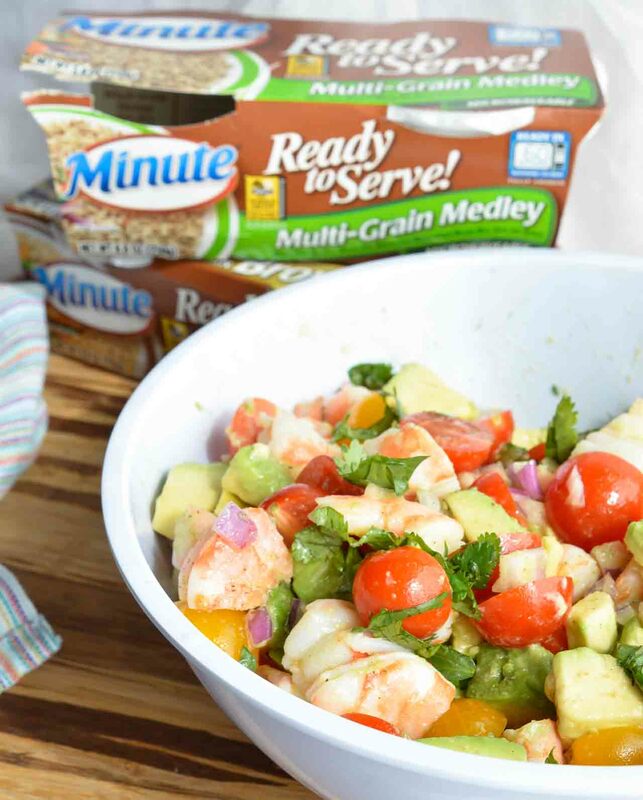 Just grab some Minute® Ready to Serve Rice and a container of the shrimp salad for an easy and filling lunch! Minute® Ready to Serve Brown Rice or Minute® Ready to Serve Multi-Grain Medley are convenient, portable and great for portion control. In just 60 seconds, you have fully cooked rice for any meal or snack. 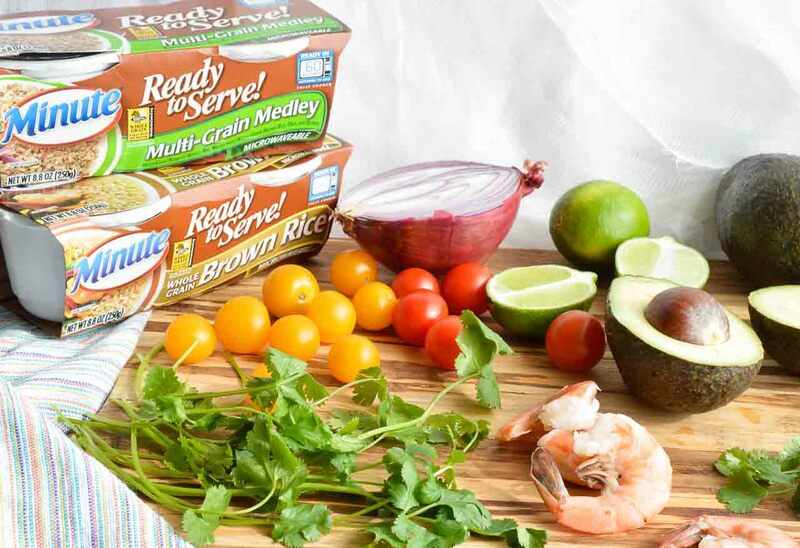 March is National Nutrition Month and that Minute® Ready to Serve Rice is non-GMO and gluten-free. This is a simple recipe. 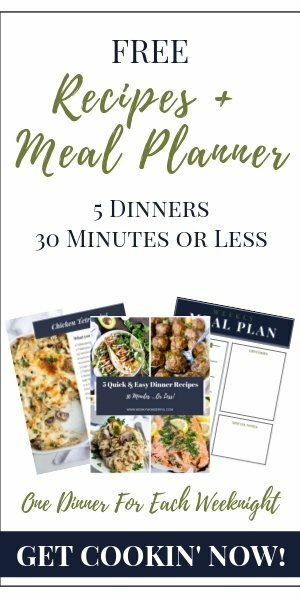 There is a bit of chopping involved, but nothing that is going to take you hours to prepare. 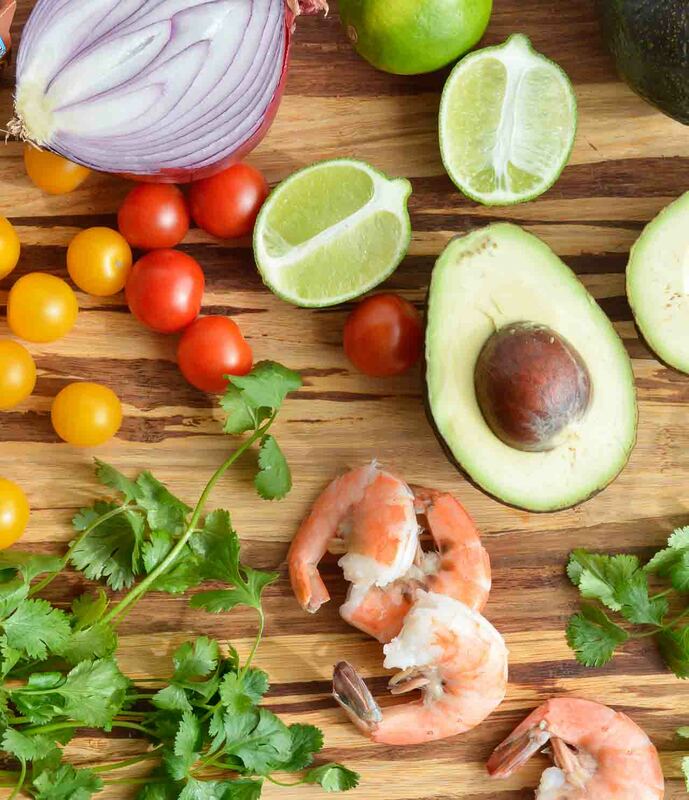 Boil your shrimp, chop your veggies, spritz with lime and you are good to go! I don’t know if a meal can get more summertime ready than this one. Fresh. Bright. Flavorful. And perfect with a blended Margarita! Drop shrimp into boiling water and cook until pink and curled into a "C" shape. (approximately 2 minutes depending on size) Drain shrimp and run under cold water to stop cooking. Refrigerate until cold. Peel shrimp (if necessary) and chop into bite size chunks. 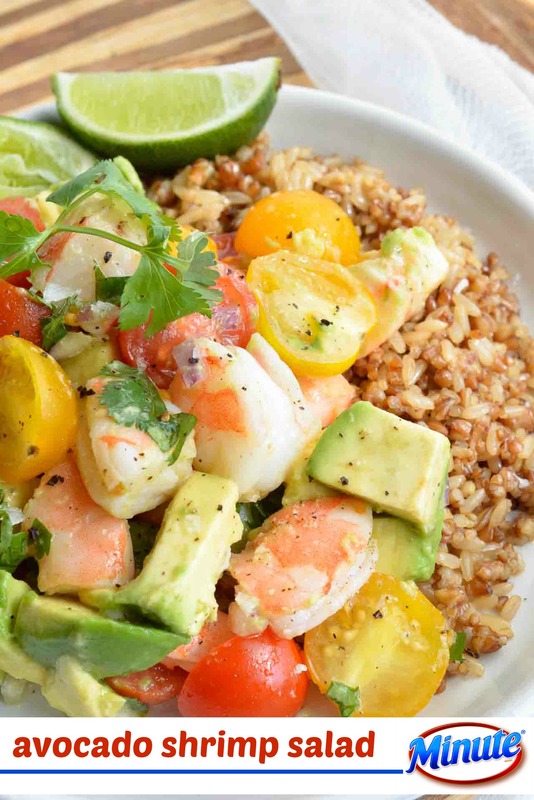 Combine shrimp and all remaining ingredients in large bowl. Gently stir. Minute® Ready to Serve Rice is available in many varieties including: Whole Grain options of Brown Rice, Brown & Wild Rice and Multi-Grain Medley, all new Basmati Rice, Jasmine Rice, White Rice and flavorful mixes. There is even Minute Ready to Serve Black Beans & Rice that is ready in 90 seconds. This variety has the beans separate from the rice. An healthy recipe for health conscious people!